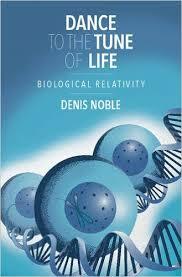 Denis Noble CBE FRS FRCP FMedSci, professor emeritus of Physiology at the University of Oxford, is a pioneer in the field of systems biology and an esteemed philosopher of biology. His books The Music of Life and Dance to the Tune of Life challenge the foundations of current biological sciences, question the central dogma of genetic determinism and reductionism, and highlight the importance of non-DNA transmission of molecular heritable information in the germ cells. "New paradigms are needed if we are to succeed in unraveling multifactorial genetic causation at higher levels of physiological function," he writes, "and so to explain the phenomena that genetics was originally about." Professor Noble, you started out as a "card-carrying genetic reductionist" but have gone on to embrace a broader view of the factors that influence heritability. What has reshaped your views? I have more than 50 years of experience as a medical researcher. It is that experience that reshaped my views. Specifically, it was using mathematics to model what I had found experimentally (see chapter 6 of Dance to the Tune of Life). The models themselves taught me that wholes (whole organisms, whole organs, whole cells) constrain their parts. It is not therefore possible to understand biology from knowing the parts alone. Autism research tends to conflate "heritability" with genetics. But heritability in a molecular sense is much broader than gene sequence, as you describe in your work. How can we broaden views of factors influencing heritability beyond genes? What we have learnt in recent years is that much more than DNA is inherited. The germline itself contains RNAs that represent information from the body as a whole, and markings of the genome which also represent information from the body as a whole, and its experience in reacting to the environment. When I bring up the possibility of non-genetic inheritance with autism geneticists, the response is usually along the lines of "We don't have the tools to study that." It seems the questions one asks depends on the research tools one has. As an advocate pushing to move beyond genes in understanding heritability, do you have advice for me? We do have the tools to study it. We can study RNAs passed into the germline. We can study epigenetic marks that persist through the germline. We can also study behavioural changes that in turn mark the genome. We have the tools. We just need the priority to be placed on using these tools. Researchers are finding a surprising percentage of de novo mutations in autism subjects, including different de novo errors among autistic siblings, but no one is asking what exogenous factors may be precipitating these genomic errors; it is all assumed to be random. But mutation, including somatic mosaicism, might be prompted by epigenomic and other environmentally sensitive factors. I'm wondering if you could speak to this. Yes, indeed. But the answer is necessarily technical. I attach an article that is about to be published in the Royal Society journal, Interface Focus. But the answer is also explained in layman language in my book Dance to the tune of life. The essence of the answer is that organisms harness (control) stochasticity (random change) to produce functionality. Random mutation doesn't mean there is no functionality. Neurodevelopment, of all organismal functions, seems to be particularly vulnerable to genomic/epigenomic disruptions. Perhaps this is due to the high numbers of genes relating to brain development, the role of the non-code portions of the genome, the vulnerability of "long genes," genomic imprinting, epigenetic factors, or ncRNAs. Do you have any thoughts about why neurodevelopment may be an area of particular interest with respect to heritable effects via the germline? In addition to the high numbers of genes involved, the nervous system continues to develop well after birth. The new-born carries with it any epigenetic affects inherited from the parents, and these will continue to unfold in their effects while the immature nervous system develops. Those effects will be maternal, obviously so since the embryo is influenced by the mother's metabolism and life style, but also by epigenetic effects, and RNAs, transmitted via sperm. So, yes, neurodevelopment, pre and post natal, must be a central object of study. You point out that DNA is inherited by itself, but with a complete gamete. With respect to the egg, you say "any environmental or maternal effect that can influence the egg cell and/or early embryo might in principle imprint itself on the genome, or even be handed down in parallel with the genome." What implications does this real-biology view have for toxicology? For example, for understanding potential adverse effects of maternal tobacco smoking or drugs on fetal germ cells? I think we are only at the beginning of understanding the full impact of maternal life style and drugs on fetal germ cells. The work of Gluckman and Hansen (NZ & UK), and of Abigail Fowden (UK), lead the way. I feel sure that there will be much more appearing in the next decades of research. Having been exposed in utero to synthetic steroid hormone drugs, and now having two children with severe idiopathic autism, hormone influence on early gametes is a major area of interest for me. How can hormones (including man-made faux hormonal chemicals) influence the heritable contents of our early gametes? The best study I know about on inheritance of hormonal effects is that of Csaba in Hungary: Transgenerational hormonal imprinting in the unicellular Tetrahymena. In Tollefsbol (Ed) 2014 Transgenerational Epigenetics, Academic Press. Chapter 13. pp163-172. By using a unicellular organism, Csaba was able to follow effects for thousands of generations, which would be impossible in human research. The organism studied has, however, most of the hormones found in higher vertebrates. I have come to think of the gamete as essentially an environment-sensing organism with a protein template inside. In that way, ultimate gene function, to use your words, is "moulded by the outside world." What factors do you think influence gene function? Light? Temperature? Nutrition? Hormones? Stress? Toxicants? In other words, what do you think might be the extent of the gametic "sensing" function? Barbara McClintock: "The genome is a highly sensitive organ of the cell" (Nobel Lecture 1983). All unicellular organisms, including the gametes of multicellular organisms, sense their environment and respond to it. McClintock actually worked on plants, but her discovery of the way in which organisms respond to environmental stress to mark, and reorganise, their genomes, is of universal significance. Professor Aaron Panofsky of UCLA, writing about the field of behavioral genetics, says, "Complexity talk allows the field to exonerate failure, justify intensified efforts, defend against charges of determinism, and project moderation and responsibility.... a justification to keep field churning along." I'm wondering if you would comment on that. I understand Panofsky's point, I think. Referring to "complexity" can be a cover for ignorance or failure. But as I and some others use the term, it has precise mathematical underpinning. 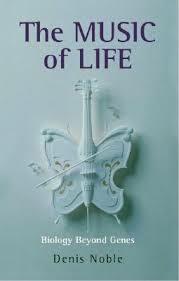 My new book, Dance to the Tune of Life. Biological Relativity, is actually deeply mathematical, even though there are no equations in the book -- I have tried to keep the ideas accessible to a general reader. But the formulation of the central principle of biological relativity is mathematical, and perfectly rigorous. Any closing observations or advice for the field of autism research? As we all know, there are many forms of autism. It covers a wide variety. This is what you would expect from the development of such a vast organ as the brain. It is easy to become despondent about the possibilities of progress when faced with such diversity. I feel encouraged, though, by some of the psychological approaches. And I have experienced this myself in my life and work. By working with autistic people and finding ways of communicating emotionally it is possible to locate the trigger situations, when over-sensitive reactions may occur. Any work on the biology of autism needs to be complemented by work on the psychology.